Coca Cola – Relieves Fatigue! 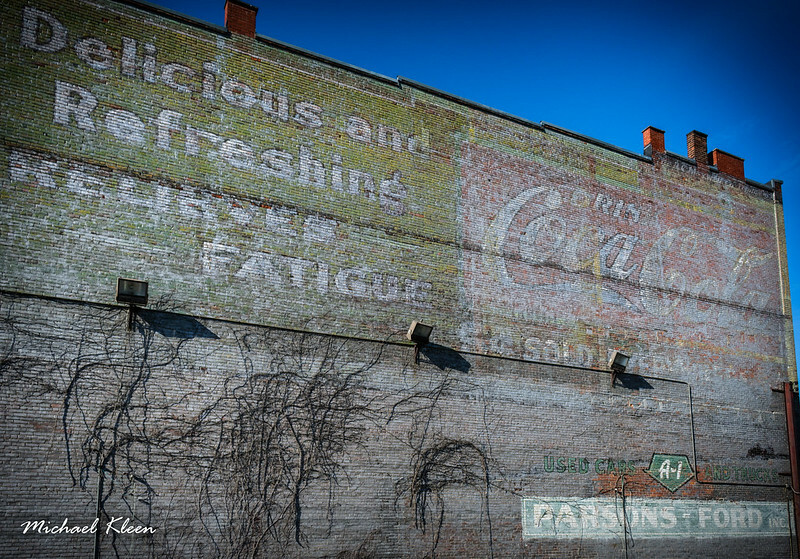 Coca-Cola ghost sign on the side of a brick building at 144 Court Street (U.S. Route 11) in Binghamton, New York. “Delicious and refreshing – Relieves Fatigue” … because it used to contain trace amounts of cocaine. Coca-Cola didn’t become completely cocaine-free until 1929. Author Michael KleenPosted on January 11, 2018 November 29, 2018 Categories Historic America, PhotographyTags brick ad, New York, U.S. Route 11Leave a comment on Coca Cola – Relieves Fatigue! Found on James Street in Alexandria Bay, New York. 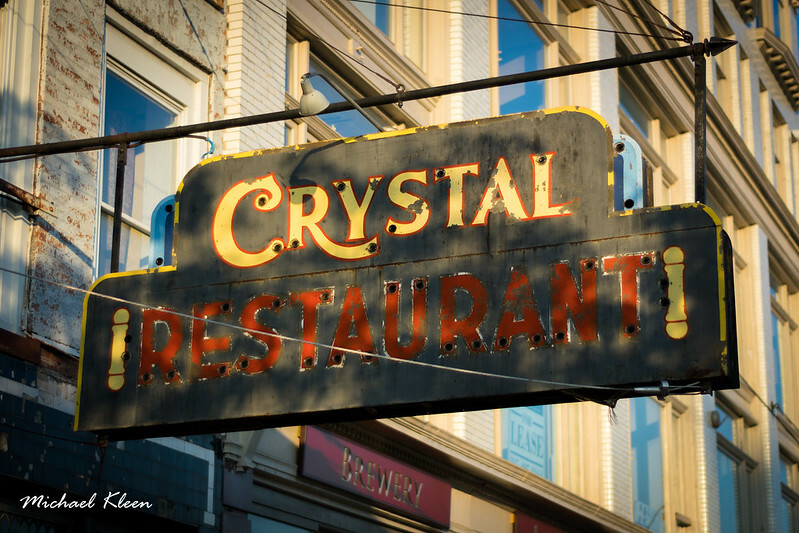 Former neon sign for Crystal Restaurant at 87 Public Square in Watertown, New York. Opened in 1925, it’s the oldest restaurant in Watertown. Dennis and Jerry Valanos owned the restaurant until 1943, when it was purchased by their head chef, Otto Dephtereos. Today, Peter (Otto’s grandson) and Libby Dephtereos manage the restaurant. A Prohibition-era advertisement for “All Legal Beverages” still appears in the window. I first came across this old diner at the corner of Main and Broad streets in Johnson City, New York last winter. It was closed then, but looks like it’s reopened. The Red Robin Diner, at 268 Main Street, is a classic Mountain View-style diner that originally opened in neighboring Binghamton in 1950 and moved to its present location in 1959. The 35-ton diner took two hours to move. Chris and Pat Anagnostakos ran the business for 37 years until retirement. 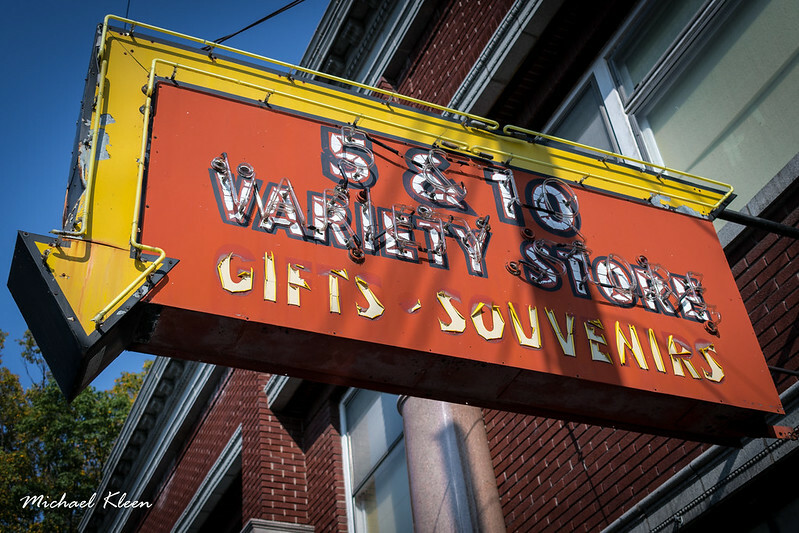 I love everything about this place, from the vintage 7-Up sign to the neon lights and chrome exterior. J.R. Diner, at 1208 Wolf Street, was manufactured by the Rochester Grills Company in Rochester, New York in the late 1930s. It was originally called Griffeth’s Swanky Diner. Devil’s Den at the Battle of Gettysburg was an inhospitable place for regular troops, but not for sharpshooters, who hid among the boulders. 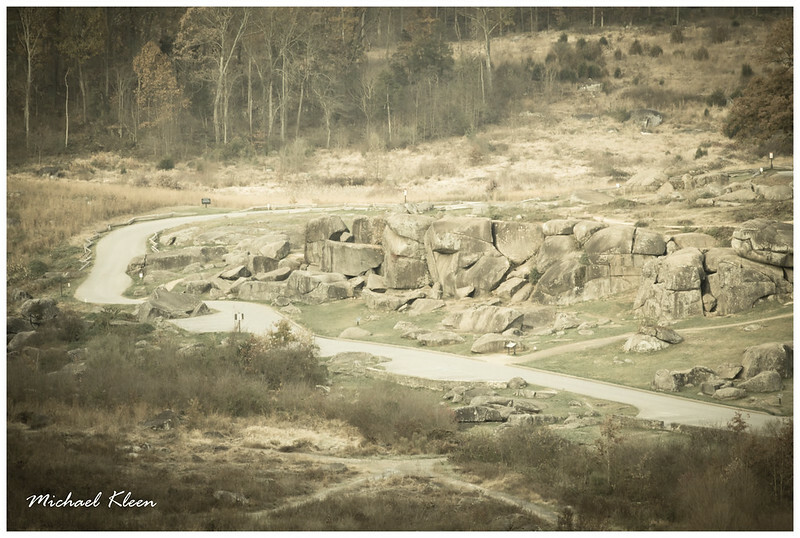 I got creative with these photos from my recent trip to Gettysburg National Military Park, editing them in a vintage style in Adobe Lightroom. I like the way they turned out and feel encouraged to be a little more artistic with the way I edit my photos. What do you think? 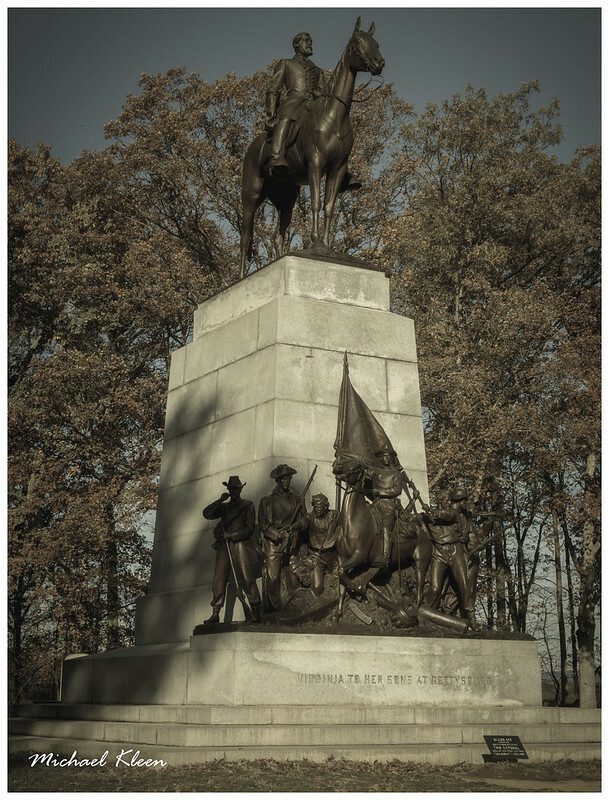 The Virginia Monument at Gettysburg memorializes Virginians who fought at the battle. A bronze statue of Robert E. Lee on his horse Traveller stands at the top, facing the field of Pickett’s Charge. Erected in 1917.